My newest review is posted over on Glide. 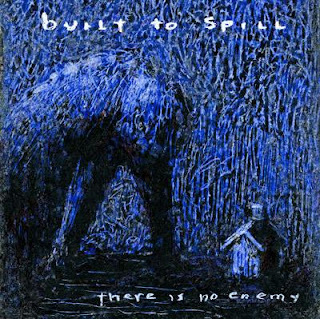 It is of Built to Spill's newest release, There Is No Enemy. This is one of the few albums I have had a hard time giving a rating too. I knew exactly what I wanted to say about the album (and may have repeated myself a bit too much in the review) but I found it hard to give it a rating. In the past I may have said that these songs would get better when played live, but I am not being fooled again by BtS. While their Official Live Album is strictly top notch, their current touring efforts find them never wanting to venture out of the confines of the song which baffles my simple mind. or even open up some of their originals past the run time. They are one of the bands who I still like, but consistently disappoints live, in fact I am passing on them live tonight. I really do enjoy Doug's writing and guitar playing, but I felt like there was a spark missing on There Is No Enemy. That said I could see coming back to this in 3 years and thinking it is great...the same can't be said for their last effort. Either way, check it out for yourself if you are interested, here are 2 of my favorites off the album, like always log into Imeem to hear the full thing. Rock and Roll.